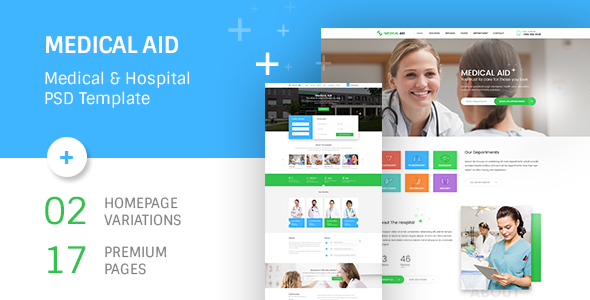 Medical Aid is PSD Template for Health and Medical Centers PSD template. It’s not just PSD, it’s a new look of soft and clean professionalism for the medical industry. These designs combine creativity with simplicity on each page. PSD template is suitable for all medical centers and health-related business. Total 17 PSD Files (until now).